An Amazon Go store in Chicago. Cashless retail stores like Amazon Go help enrich companies like Visa and Mastercard with credit card transaction fees. Your money’s no good here. At least, that’s true at a growing number of stores and restaurants that are ditching cash and switching entirely to credit and debit cards. Cashless retail is still relatively uncommon, but it’s on the rise and has begun to concern some lawmakers. New Jersey recently banned cashless retail. Philadelphia has done the same. Other cities may soon follow. So far, the debates leading up to these laws have mostly centered on how cash-free establishments impact the many low-income people who lack bank accounts and credit cards. But there’s another major problem with going cashless. Cashless retail—and credit cards in general—allow a handful of giant banks and credit card monopolies to siphon more and more revenue from the productive economy, at the expense of consumers and businesses. Retailers are essentially locked into a “partnership” with financial services monopolies. To get a sense of how inflated our rates truly are, the EU has capped rates at one-seventh of ours and, believe it or not, credit cards are still a profitable and growing business in the European economy. We need to do the same. Unless the U.S. follows suit, banks and card networks will continue to extract a kind of monopoly rent across a growing share of consumer spending, skimming money from both consumers and businesses, and dampening real, equitable economic growth. Cards are big business. 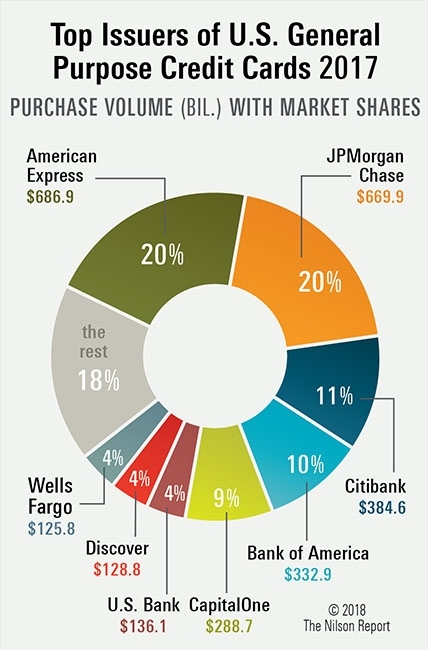 Over half of all credit cards are issued by the Big Four banks: JPMorgan Chase, Citigroup, Wells Fargo, and Bank of America. Interchange fees alone—the “swipe fee” retailers pay to the banks in order to process cards—netted these and other card issuers $64 billion in 2018, more than doubling the revenue of 2012. Processing associated with those fees made the card network market’s uncontested duopoly, Visa and Mastercard, about $15 billion last year. Those numbers are so elevated because the U.S. has the highest swipe fees in the world, between 1.5% and 2%—and oftentimes nearly 3%—of a transaction, depending on the type of purchase. And the market is highly concentrated: Visa is a credit card titan, controlling 60% of the credit and debit card market last year. Mastercard had a full 25% of the market and American Express captured 13%, which left Discover to clean up the dust, with just a 2% share. This market dominance allows the networks to largely dictate card fees to merchants. Retailers and restaurants cannot feasibly refuse Visa and Mastercard, ensuring there is no true competition in the market. Card network technology has only become more efficient over time—yet, fees keep rising, forcing merchants to pay more for the same service year after year. While big retailers like Walmart and Amazon have some leverage to negotiate down fees, small independent businesses do not. This all but ensures that the increasing use of cards favors big business, and shifts the largest cost burden to those who have the least ability to negotiate. Small businesses are forced to both accept the fees and pay a higher relative price than the chains do. In other words, concentration in the card market is helping to propel growing concentration in retail. This is further exacerbated by Amazon’s new fleet of “Go” stores, for which cashless (and cashier-less) retail is central to the business model. Such stores will lead to death by a thousand cuts for the American economy. The cashless trend puts more power and control in the hands of billion-dollar credit card companies and trillion-dollar banks—who play an inconsequential role in the doings of your local restaurant, bookstore, or independent retailer. Yet, these giants profit handsomely from inserting themselves between you and your neighborhood businesses. And their gain comes at a real cost: Local retailers are stuck paying tribute to monopolists far removed from the operation of their businesses, instead of offering better wages, adding new services, or lowering prices. Ultimately, the high cost of cards is passed down to consumers in the form of higher prices. Whether they use a card or not, consumers are effectively paying a premium to subsidize the banks and card companies. Federal Reserve data shows strong credit card issue and spending growth year over year, which means consumers are not only using their cards more, they’re paying more—millions more—in hidden interchange fees every year to do so. No consequence, legal or economic, stands in the way of card companies hiking their rates. And that’s exactly what they plan to do in April. So what’s the solution? In 2015, the EU took charge and set a strict cap on interchange fees at 0.2% for debit and 0.3% for credit card transactions, keeping more money in small businesses’ hands. Visa and Mastercard make a little less, but millions of businesses and consumers make a lot more. 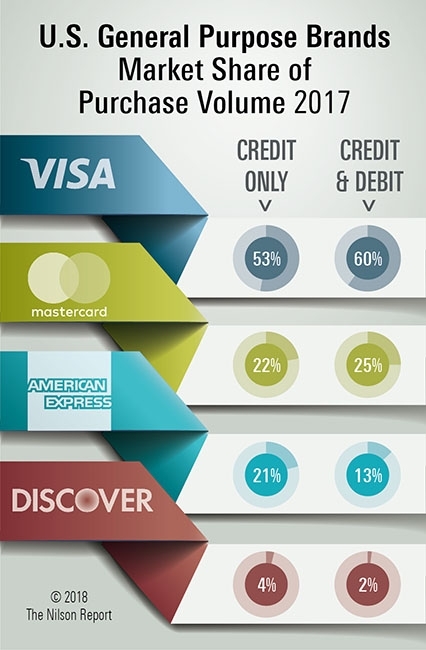 People still use credit cards all the time in Europe. In the meantime, legislation to ban cashless on the local and state level is a good starting point. Cities like San Francisco, Chicago, Washington, D.C., and New York are all considering cashless bans. None of these proposed laws forbid the use of credit cards, they merely require businesses to honor their customer’s cash. That protects consumer choice, and allows those unbanked Americans to participate in the economy. Cash, for all of its contingencies, is a much more anonymous, resilient, and democratic system. Cities and states are right to insist that it continue to be an option for consumers. But with card transactions almost certain to become more expensive, we also need to cap these hidden fees so that giant financial interests cannot continue to use their monopoly position to drain more revenue from the economy. Charlie Thaxton is a researcher with the Institute for Local Self-Reliance’s Community-Scaled Economy program.